THQ’s sequel to last year’s ‘UFC Undisputed 2009’ officially hit the shelves today, but we’ve already had some extensive hands-on time to review the game. Is ‘UFC Undisputed 2010’ a marked improvement or is it on par with last year’s edition? If you’re keeping score, last year we rated ‘UFC Undisputed 2009’ an 8.8 out of 1o and raved about the authenticity that the game portrayed. Graphics: What a difference a year makes. Just when you thought UFC Undisputed couldn’t look any more realistic, THQ raised the bar once again as player models have been beefed up. Every last detail ranging from tattoos to scars have been implemented correctly this year, but it’s what’s going on outside of the Octagon that had us impressed. The characters in the crowd, as well as around the cage, have been given life in order to add to the true UFC experience. Gameplay: It looks like THQ took everyone’s complaints and did what they could to improve on their mistakes from last year. The addition of the clinch game was a much needed improvement and the feel of using different fighters is much more noticeable than ‘UFC Undisputed 2009.’ The gameplay is not perfect, but it was clear that THQ didn’t want to stand pat and just re-title last year’s game – they actually improved it. The A.I. from time to time will be frustrating, just like any other game, but the added features within career mode and online play will keep ‘UFC Undisputed 2010’ in your consoles for months to come. Authenticity: WOW… We haven’t even finished a career yet, but we’re certainly having fun going through it. Our fighter currently holds an impressive 10-3 record and recently had none other than UFC president Dana White recording a video blog and offering him a contract to fight for the UFC. Being able to hone your skills makes the game feel like you’re actually training a fighter to compete in the Octagon. You’ll also see the usual suspects in the corners of the premier fighters, like manager Ed Soares in Anderson Silva’s or Lyoto Machida’s corner. THQ and the UFC also added more sponsors to the game by plastering logos all over the athletes’ clothes. Unfortunately, there are still some of the same issues in the current edition that we saw in last year’s game, like knowing the judges scorecards before a winner is even announced. 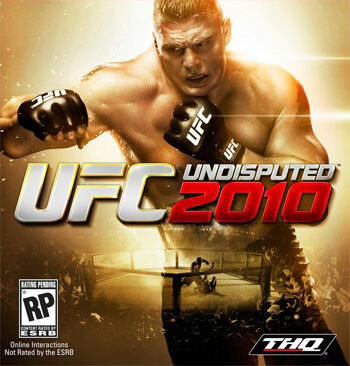 Final Verdict: When a game comes out every year, like Madden or the NBA2K series, you expect it to get better and THQ did a great job improving ‘UFC Undisputed 2010.’ The game still has its faults, but it’s far less an issue this year than it was the year prior. We tried to give you as many details as we could about the game without boring you, which didn’t allow us to even get into the online play. So, we’ll let you feel that experience out for yourself. This game is definitely a must-have for any MMA fan. If you want to read last year’s review of ‘UFC Undisputed 2009,’ please click HERE.